Chicago-native, chef-owner Marisa Paolillo, spent nearly a decade living in and traveling across India before moving back to Chicago and opening Mango Pickle, an Indian bistro that expresses her training and explorations in the US and India and abiding interest in the rich culinary traditions from across the vast and diverse geo-cultural landscape of India. Named after a most popular condiment of India, Mango Pickle gives its patrons a creative taste of contemporary India, where modernity and tradition coexist effortlessly in colorful (even seemingly odd) combinations of 'spice'. Interior fixtures at Mango Pickle were handpicked during some of the chef's travels around India - from erstwhile French colony, Pondicherry, on the Bay of Bengal, to ancient Varanasi, on the banks on the revered Ganges, and the bustling cosmopolitan melting pot of Bombay, on the Arabian Sea. Mango Pickle's evolving menu is an ongoing expression of a chef's experiences with and impressions of popular and lesser known dishes from across India and substantially driven by local and seasonal availability of meats and produce. 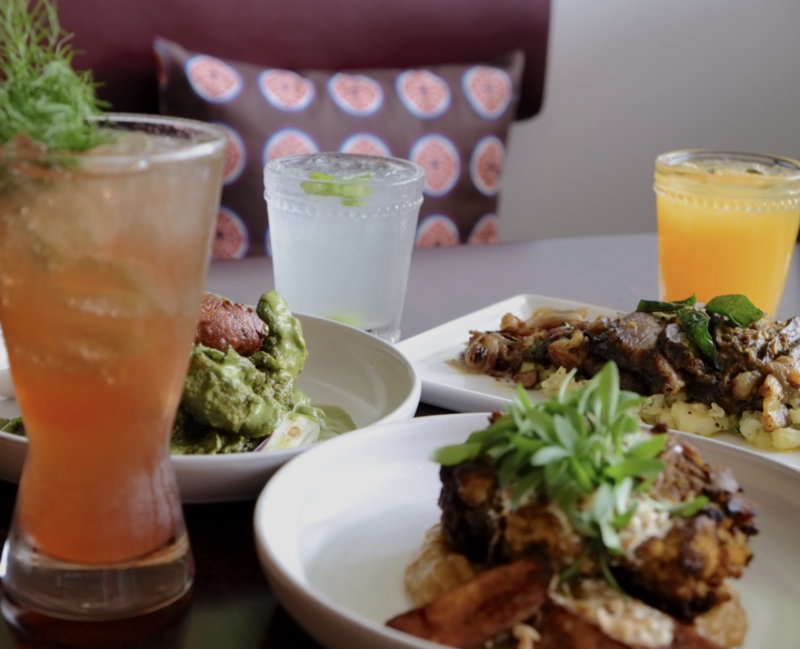 The food served is complemented by a gin and whisky bar, with an emphasis on seasonally-updated, Indian-inspired cocktails.